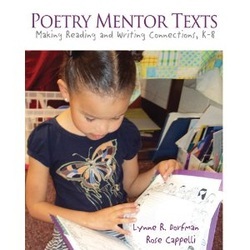 Welcome to Mentor Texts with Lynne and Rose, a resource for educators to learn more about how to help their students become better writers with the use of beloved mentor texts. How do children's book authors create the wonder that we feel when reading our favorite books? What can students and teachers learn from these authors and books if we let them serve as writing mentors? 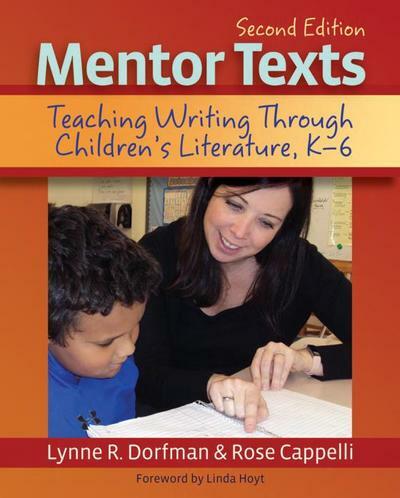 In Mentor Texts, Lynne and Rose show teachers how to help students become confident, accomplished writers, using literature as their foundation. 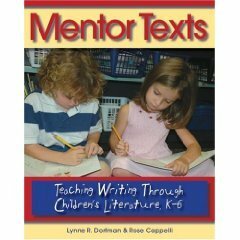 This practical resource demonstrates the power of learning to read like writers. 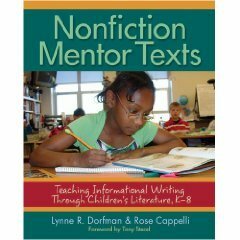 It shows teachers and students how to discover the ways that authors make writing come alive, and how to use that knowledge to inspire and improve their own writing Please explore our site to learn more about Lynne and Rose, their published books, Mentor Texts: Teaching Writing Through Children's Literature K-6 (Second Edition Published May, 2017), Non Fiction Mentor Texts: Teaching Informational Writing Through Children's Literature K-8, and Poetry Mentor Texts: Making Reading and Writing Connections K-8. 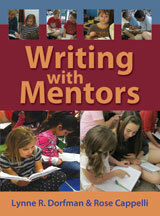 We also have a video available, Writing with Mentors. Thanks for visiting!